Walnut Hill Cemetery is located on the west side of East Street (County Highway A) on Baraboo’s north side. Just turn north at the stoplights on East Street and you will find us on the left side of the road at the top of the hill. See a map here. See a map of the cemetery here. See a list of our Rules and Regulations here. 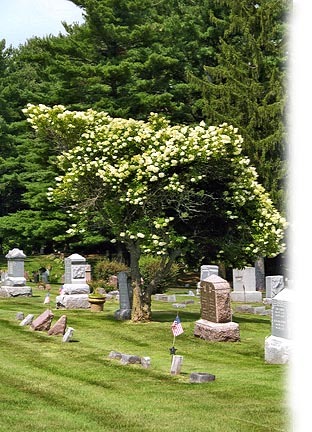 For additional information or specific questions, please call Walnut Hill Cemetery at 608.356.5646.